Nationwide Incluzion.co is a new online platform that easily allows entrepreneurs to find and hire Black, Latinx and Women freelancers based in the United States. 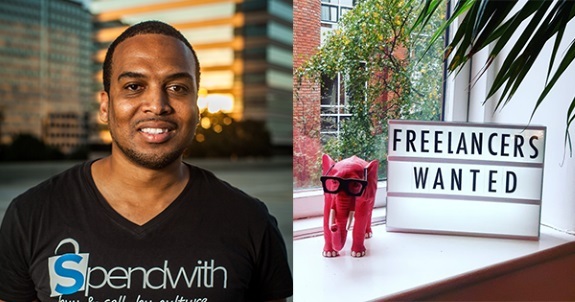 Launched by Atlanta startup, Spendwith Corp, the platform strives for more diversity & inclusion in the gig economy. Incluzion's founder, Spendwith Corp CEO, Jibril Sulaiman, has spent hundreds of thousands of dollars hiring freelancers throughout the years, through many of the popular sites. He comments, "I eventually recognized that there were freelancers located in the US with the skills to get the job done, at rates comparable to the global market. However, I only understood after becoming a freelancer myself, in 2016, that even though I was qualified and was willing to hustle by lowering my rate, I still couldn't compete." According to the Freelancer’s Union, 50.9% of workers in the US will be freelancing by 2027. Close to 50% of millennials have already worked a freelancing gig as of 2017. Workers who freelance often get the opportunity to work on their own schedules, but have fewer opportunities when competing on global freelancing marketplaces. According to recently disclosed financials from the largest freelancer marketplace, Upwork, twenty-nine thousand US-Based freelancers, of Upwork's total 1.8 million global freelancers, earned a wage on its platform. These earnings accounted for 19% of the $1.37 billion in "gross services volume" facilitated through the site. Freelancers may not be competing well on global sites, but many are using alternative channels to earn money. According to the 2017 study "Freelancing in America", these earnings contributed $1.4 trillion dollars to the US economy in 2016. However, when broken down by gender and race, other studies suggest these earnings are plagued by disparities greater than what’s in the overall workforce. "In 2016, in response to a story about our company on BlackNews.com, I started receiving calls inquiring about web development services from individuals who googled 'Black software companies'. I then knew there was a demand," stated Sulaiman. "Many clients are looking for diverse, US-based freelancers, but in the past, there have been few ways to find them. Clients want diverse, local freelancers because there are various advantages associated with same-country sourcing. Such as parallels in culture, time zones, language and more." The Incluzion.co platform gives companies and individuals the ability to access diverse freelancers in the US. Clients can post projects and invite freelancers to bid. Freelancers are notified by email when new jobs are posted matching their skills. Labels: Black Freelancers Now Have Their Own Online Platform.